ANALYSIS: There were some big-name drop-outs and exclusions from this year’s rankings – who is likely to make a return and who is gone forever? In a fast-paced and ever-changing football world, the annual Goal 50 award acts as a useful measuring stick as various players see the value of their stock rise or fall. While some stars such as James Rodriguez and Thibaut Courtois have surged up into the top 10 of the rankings after enjoying an impressive year, others like Andres Iniesta and Franck Ribery have been knocked off entirely. Ribery was actually out of the list in 2012, flew up to No.2 in 2013 and now finds himself outside of the 50 again this summer. In other instances, players may return after years in the wilderness. Here, we profile high-profile dropouts and exclusions from the latest Goal 50 list and analyse their prospects in the future. After failing to win a major trophy for the first time in six years, Barcelona’s squad suffered in the 2014 Goal 50, with only Lionel Messi, Javier Mascherano and Neymar making the cut. The involvement of a number of Barca’s key stars in Spain’s disastrous World Cup defence would not have helped their case either and Andres Iniesta is the most high-profile omission from the Goal 50. The midfielder was one of only three players – Messi and Cristiano Ronaldo being the others – to have appeared in every one of the six awards from 2008-2013. The chances of Iniesta regaining his place in 2015 do look strong. Barcelona are expected to improve their performances under new coach Luis Enrique having spent heavily in the transfer market. The Spain international remains the most important creative force in the side and should bounce back. It is hard to be as optimistic over Xavi and Dani Alves, however. The Barca stalwarts made each of the first five lists but have now been absent for two successive years. The 34-year-old Spain star was close to leaving for Qatar or the United States this summer and is declining, while Alves – another player who was below-par last season – also faces an uncertain future amidst exit rumours. Cesc Fabregas and Alexis Sanchez have now left Barca and may feel unfortunate to miss out on a place in the 50 after posting strong goals and assist tallies last year. Their absences – along with that of Iniesta – were amongst the most debated by readers. However, with more important roles at their respective new sides Chelsea and Arsenal, they have every chance of making a prompt return to the list. A number of established star names failed to make the grade in this year’s Goal 50 and, as more young talents break into the list each year, it becomes increasingly difficult for them to get back in. 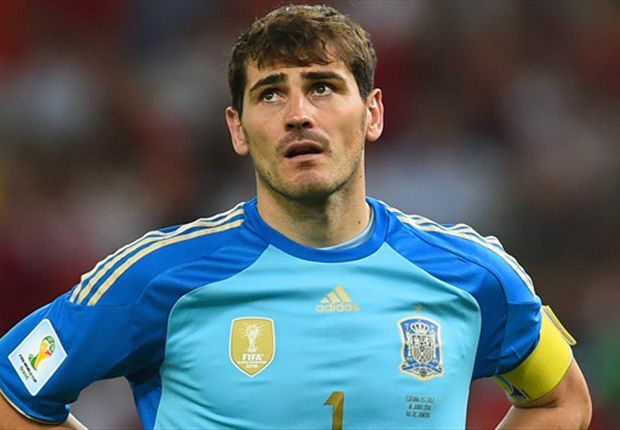 Iker Casillas is one man who faces a struggle. Having dropped out of the list in 2013 after losing his place in the Madrid goal under Jose Mourinho, things did not get much better over the last 12 months. Carlo Ancelotti opted to stick with Diego Lopez in La Liga. The experienced keeper may have won the Champions League and Copa del Rey, but his performances in big matches were not up to standard. Casillas’ club team-mate Xabi Alonso also pays the price for Spain’s struggles despite another influential campaign with Madrid. He was missing in the Champions League final through suspension. Another Madridista, Luka Modric, turns 30 next year and he was another surprise absentee following a superb season pulling the strings alongside Alonso. A poor World Cup and the sheer abundance of top-class talent in Madrid and La Liga saw him pushed down the list of Spanish-based nominees. Bastian Schweinsteiger enjoyed an impressive World Cup with Germany, but had an injury-hit season with Bayern Munich. Franck Ribery was No.2 in the Goal 50 last year but this time he drops out completely. Injury denied him the chance to impress at the World Cup, while fitness concerns and a lack of form meant he was less influential at Bayern this year as Arjen Robben took centre stage. Both Schweinsteiger and the Frenchman’s chances of a Goal 50 return will depend significantly on how fit they can remain for 2014-15. Thiago Silva must be cursing his luck again after missing out on the list this year. After coming in at No.8 last year, he led Paris Saint-Germain to the Ligue 1 title and Brazil to the World Cup semi-finals, but he suffered from a massive drop in form from March onwards. It appears PSG’s stars will need a Champions League triumph to gain further individual recognition next season. Andrea Pirlo pays the price for Italy’s poor showing at the World Cup. Despite scoring some trademark free kicks and helping Juventus to another Serie A title, in overall terms Arturo Vidal and Paul Pogba were even more influential in midfield. Whether he can secure a return to the 50 will depend on the relationship with his new coach Massimilano Allegri, who got rid of him at AC Milan. While it is usually easiest for No.9s, No.10s and attacking midfielders to gain recognition when it comes to individual awards, there are still a number of classy names missing from our list. Karim Benzema is the biggest omission. The striker enjoyed his most influential season to date at Real Madrid, scoring 24 goals as his side won the Champions League and Copa del Rey. At the World Cup he netted three goals as France reached the quarter-finals. Similar performances next year would make him impossible to ignore. Fitness is the only reason Sergio Aguero misses out on selection. His 28 goals in all competitions helped Manchester City to Premier League and League Cup success, but repeated injuries meant he was missing at key times of the season and short of his best form at the World Cup for Argentina. Following his impressive end to the previous campaign, Mario Balotelli disappointed for AC Milan and Italy in 2013-14. Only 14 goals in Serie A were not enough for a Milan side who slumped to an eighth-place finish. His national team then crashed out at the group stage, a sad contrast to his individual and team success at Euro 2012. 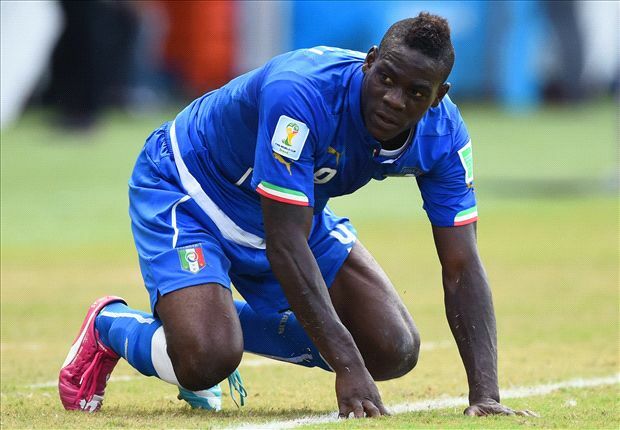 Balotelli’s immediate future is uncertain. One thing which is known is that he must produce better performances to return to the Goal 50. Injury also robbed Radamel Falcao of the chance to post a prolific first season at Monaco and star at the World Cup. Regular games and goals will surely see him return to the list next year as he looks to make up for lost time. Edinson Cavani was played out of position for much of PSG’s season and struggled to emerge from Zlatan Ibrahimovic’s shadow for much of his debut term in France. Despite scoring 25 goals, the Uruguayan star was not as prolific as he could have been in big games, particularly in the Champions League defeat to Chelsea. That is the area he must improve on next season if he wants to be ranked amongst the best. There were few players more divisive than Mesut Ozil in 2013-14 and he split opinions again after missing out on the Goal 50. In his debut season with Arsenal, he helped them to FA Cup success and then went on to win the World Cup with Germany. Despite that, his individual performances were often called into question, with claims that he went missing when games were going against his side. Still, an improved second season in England in a strengthened Gunners side will surely be good enough to see him return in 2014-15. Carlos Tevez fired in 19 Serie A goals for Juventus as his side were crowned champions. His record in Europe, though, was far less impressive (one goal in 12 games) and he was unable to improve Juve’s struggles on the continent. He missed out on selection for Argentina’s World Cup squad due to a feud with members of the federation. Mario Gotze provided the most memorable moment of 2013-14 with his stunning winning goal in the World Cup final. He was on the list last year at No.26 but falls off this year after a poor club season. He could well explode next term with more game-time. 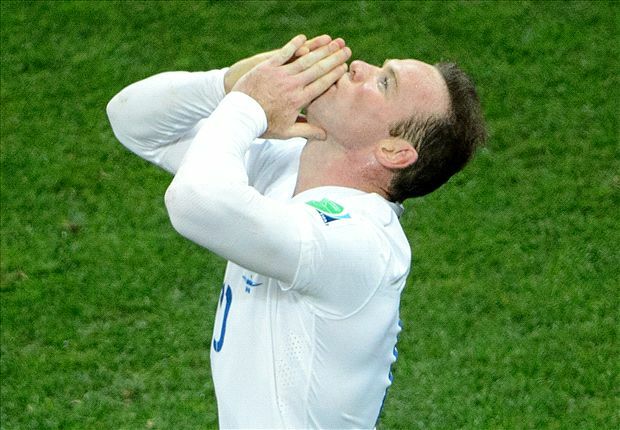 Astonishingly, no English player has gained selection in the latest instalment of the Goal 50. Frank Lampard – placed at No.50 last time out – was the only English player to make the list in 2013 and now the nation has reached a new low. The performance at the World Cup certainly played a part in the Goal 50 blackout after England finished with just one point from three matches and exited in the group stages, but the decision is also a reflection of the lack of top English talent on show in the Premier League. Steven Gerrard had a strong season in a deeper-lying midfield role at Liverpool as Brendan Rodgers’ men made a surprise challenge for the title, but a crucial mistake against Chelsea and underwhelming performances in Brazil cost him dear. Having announced his international retirement, the Champions League displays he puts in will be the decisive factor as to whether he will be involved next year. Gerrard’s club team-mate Daniel Sturridge is the most unfortunate of the England crop to miss out on recognition. He scored 24 goals in all competition and also netted in the World Cup against Italy. If he can continue to deliver goals in the absence of Suarez next season, then it is hard to see him missing out again. Wayne Rooney’s contract dispute at Manchester United was resolved for 2013-14, but the striker is out of the Goal 50 for the second year in a row, again raising the question of whether his ability can really be compared to some of the world’s best players. Rooney faces a vital 2014-15 season if he wants to avoid his career reaching a level of continued decline. Joe Hart won the Premier League with Manchester City but had a spell out of the side in mid-season after being dropped by Manuel Pellegrini. A more consistent year combined with further medals at the Etihad Stadium would be needed if he is to match the four keepers named in this year’s list. Do you agree with our list of the world’s 50 greatest players of the 2013-14 season? Get involved via our Goal 50 section this month. Give us all your views on the debate by commenting below and by getting in touch on Facebook or Twitter using the hashtag #Goal50.